FBM Training was held in December 2016 in Kyoto, Japan. 4 Girls participated the session and enjoyed the programme. 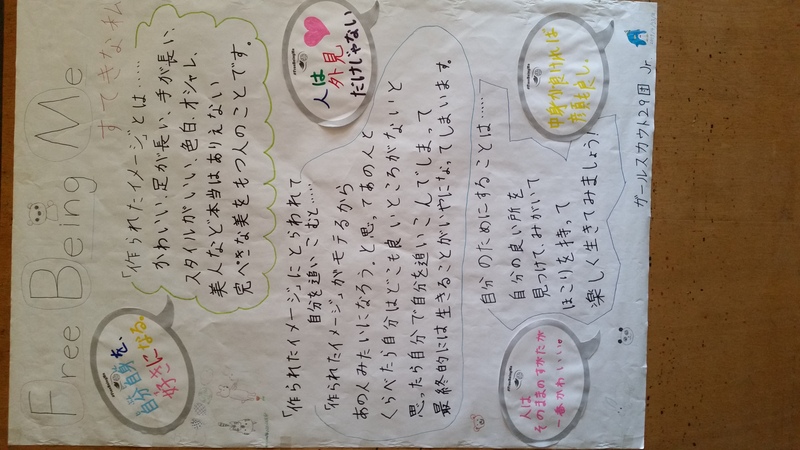 They had made the poster at their training, which was displayed at temple’s exhibition with boys scout and other followers on our Children’s day. We attached the photo of our poster.